With our ready to print games, it’s really easy to organise treasure hunts, detective mysteries and adventure games for children, particularly for birthday parties. Find out more about our wide range of themes for children from 4 to 12 years old. 1. In just a few clicks, choose a game from our boutique, download and print it! 2. Check the rules, print the documents then hide the puzzles in your game space. 3. Start from the beginning of the story and guide the children through to the conclusion. The Zalunira project was set up in 2011 to help parents organise birthday parties and assist teachers and recreation centre leaders in organising ‘major leisure activities’ such as treasure hunts and detective mysteries. All it takes is a few clicks, it’s that simple to order and then download a ‘ready to print’ treasure hunt for a birthday party or other children’s event. Our website dedicated to birthday party games, offers easy to organise printable treasure hunts, in a slightly different format to traditional treasure hunts. Obviously we don’t know where the treasure hunt will be organised (house, apartment, garden, etc. ), so we leave you free to choose the hiding places for the clues. This means that you can organise the game out of doors or inside, according to the weather or the size of your home. Our games are easy to understand and quick to organise (around 30 minutes). Essentially a kit is a 20 page document in PDF format ready for you to download. Every kit includes the certificates awarded to the children at the end of the game. Our original concept combines a plot, the search for clues, solving the riddles and sports challenges. The age groups range from little ones not yet able to read to older children eager to solve a mystery; our activities are both recreational and educational. Each game is an original adventure in which the children solve puzzles in order to complete a quest. On the day, the game starts with the original story. Guided by the game master (organiser), the players advance from clue to clue. The aim of the game varies according on the story you have chosen. The activity is called a treasure hunt and the children may indeed set off in search of treasure. But there are also games that involve uncovering a culprit (detective mysteries) or carrying out a mission given by one of our original characters. These games offer real freedom to the organisers who can quickly set up a treasure hunt for a birthday party. The games also mean the children work together on educational and recreational activities, a perfect combination of physical activity, cerebral activity and mystery. When your order has been confirmed, you will immediately receive an email explaining how to download your game. No games are sent by post. On Zalunira, parents will find a wide choice of games to organise at children’s birthday parties, for any time of the year, inside or out of doors. Pirate and Magician themes are a particular favourites among children, who love searching for the clues and trying to solve the riddles. With over 100,000 downloads already, we aim to become the benchmark for ready-to-use birthday party games. Our concept is permanently evolving thanks to your comments and we are constantly working on the next development, whilst making sure we always remain as easy to use as possible for parents. - Maria: "That now makes three years running that they've had a great time with your games." - Emily: "This is the fifth game I've ordered from you, I think that says it all!!! For birthday parties, it's a great way to keep the kids occupied until tea-time!! Each time the children get really involved in finding the clues and solving the riddles, and it’s easy to get them to join in all the challenges! I love the designs and appreciate the ordering process (all online)!" - Diane: "I'm a leader in a children's activity centre and I use your treasure hunts which I find really very good, with stories that get the children hooked, easy rules and fun riddles. - Alice: "The kids loved it! As the organizer, it took me very little time, just a few short minutes’ work before the start of the treasure hunt ... easy and effective! " - Jenny: "As always, the kids loved the detective mystery. And I had just as much fun as the children." - Rachel: "The children went home with great memories of the day. Even the mums got caught up in the game and we had as much fun as the children." - Audrey: "The kids loved it. As parents organising our first treasure hunt, we found that everything was very clearly explained, the story was well thought out and clues were very imaginative as well. A great success! Thank you for our son's great birthday party." - Natasha: "I would just like to say a big thank you for the super detective whodunit I organised last Saturday for the children for my eldest’s 7th birthday party! Everyone loved the challenges and the puzzles were great! I would have no hesitation recommending your website. " - Camila : "I just organised your “Matamou” treasure hunt today and it really was money well spent! This treasure hunt worked really well. The Matamou plot is perfect for 7 year olds. Your documents were full of good advice. Bravo to the designers of this treasure hunt and thank you!" - Allison: "The museum mystery is really great, particularly as it rained and we had to do it indoors, the children and I really loved the challenges!!!! It was absolutely perfect, the children loved it!" - Claire: "The children really loved it: one of them told me that it was "so great" and that it was the best birthday party he’d ever been to!" 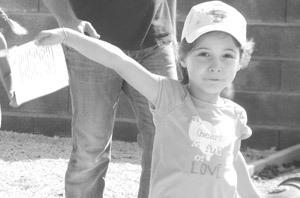 - Giulia: "The children really got into the game and were totally caught up in the story. We had studied the theme in class and it was a real success. This game is really well suited to this age group: all the children were able to understand the rules and the questions required reflection. Bravo!" - Emma: "The children loved the treasure hunt. They got into the game straight away as the story quickly put them in the right frame of mind. They loved the puzzles and challenges. I am 200% delighted to have chosen a treasure hunt to organise at my son’s birthday party." - Myriam: "Very well made, the treasure hunt was of just the right difficulty for the age of the children, neither too hard nor too easy; the children got into the game straight away and really enjoyed going home with their little certificates." - Jessica: "The children loved it! Easy to organise, success guaranteed! With the added bonus of the admiration of the other parents ; )"
- Lisa: "A superb treasure hunt (Spies and Dinosaurs). The children had great fun searching for and solving the puzzles… I recommend it 100% for a really fun time!" - Caroline: Very good activity... Not much to do apart from print it and hide the puzzles. Ideal for occupying children at a party, without spending hours on preparation. - Sandy: "We organised a treasure hunt as a game at my son's birthday party. My husband and I picked the teams and guided each of them. The children loved the searching, the puzzles, and the challenges (mini-games). It occupied and focused the children on a varied and very recreational activity." - Karen: "My young children loved it (princesses and magicians treasure hunt) and would recommend it, very easy to organise and very recreational, we had a great time." - Muriel: "The time anticipated for the treasure hunt was spot-on and the difficulty levels were good too. The children loved it!"